Hair transplant surgery can be planned regardless of the season. Issues you should be careful about after hair transplant surgery, which you can have easily both in winter and summer, are closely linked to your social life mostly. It is sufficient to stay away from sunlight and swimming for only 10 days if you have hair transplantation in summer. After hair transplant operations in winter, you are advised not to wear hats to protect yourself from cold. The perfect time for hair transplant is the time patient feels himself ready for the procedure and he can take care of himself away from busy work schedule and stress. (For example, summer holiday). Hair grows faster in summer season and regeneration rate of skin increases. After hair transplant, it is necessary to protect slight crusting and redness on scalp from UV lights during recovery period. However, millimetric incisions that were performed for grafting on scalp heal in 7-10 days and redness becomes invisible mostly. There is no problem for the patients to swim except for the times when sunlight is exposed directly. Moreover, sea water has an effect of accelerating wound healing. 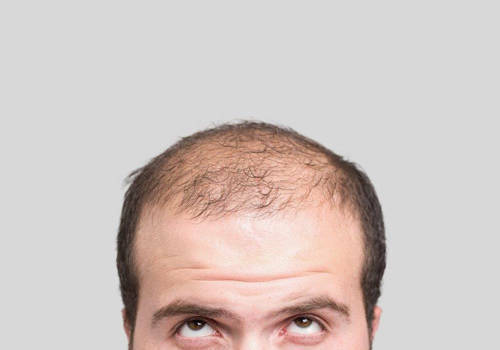 Transplanted hair starts to grow back within three or four months. You can welcome new year with your desired hairstyle and brand-new image right after an intervention during summer season. Before summer holiday, we would like to fix our physical appearance and have a most aesthetic image. This is why you can plan hair transplant surgery at the beginning of the summer. Our doctors at Clinicana in Istanbul, Turkey also state that `Hair transplant operations can be performed in every 12 month of the year. This question is very common to us: what is the right time for hair transplant? Anyone who feels himself ready can have hair transplant surgery any time of the year without noticing summer or winter. Our doctors pointing the false facts about hair transplant in summer months state that patients can enjoy sea holiday mind at peace after a hair transplant procedure if carried out by specialists in the field. There is no inconvenience to undergo hair transplant surgery in summer as long as the instructions and described post-operative period are followed by the patient accordingly. As you schedule your summer vacation, you can plan your surgery accordingly by booking your departure and return flights connecting to Istanbul like many of our patients having undergone hair transplant surgery. Take your holiday in Turkey and get your new hair at the same time! You can enjoy the sea and sunshine on the famous Mediterranean and Aegean coasts (Antalya, Alanya, Cesme, Bodrum, Kemer etc.) or visit historical cities such as Istanbul, Cappadocia, Safranbolu and then plan the last 2 days of your holiday for hair transplant on the same geography.